In an emergency, you may need to communicate with others who are using various types of radios, on many different channels. Are they using a PMR 446 radio? UHF CB? Or is it FreeNet or KDR 444? In the Alps on Canal-E? Don’t let a lack of preparation prevent your emergency communication needs. Whatever it is, wherever you are in Europe, prepare for it now by programming all those channels in your Baofeng or other type of VHF UHF radio. When disaster hits, just dial them up and talk, in any emergency situation. Are you prepared? 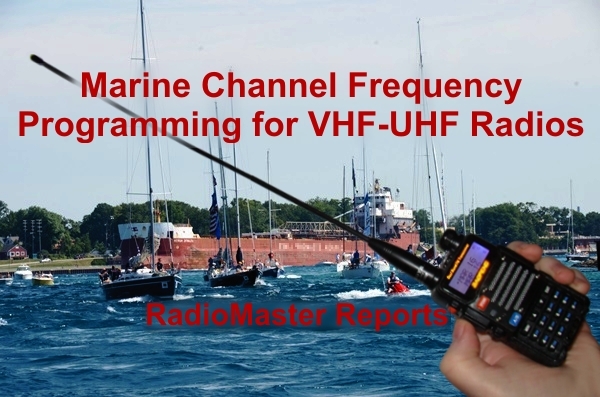 This frequency list is for programming VHF-UHF transceivers (VHF-UHF HT). 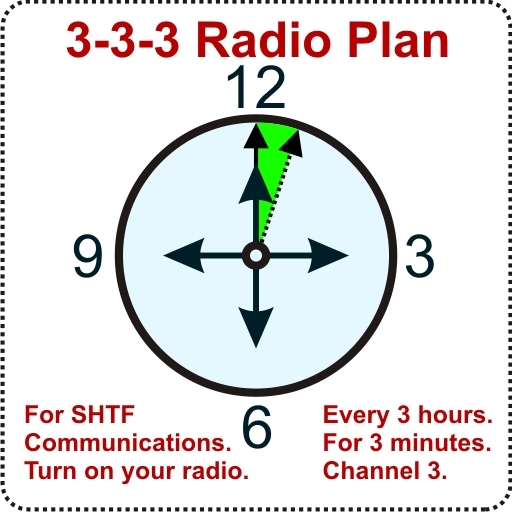 Turn your FM HT into a wonderful PMR/FREENET/KDR/CANAL-E radio for Europe Disaster Preparedness and Emergency Communications. PMR radios are by far the most popular license-free UHF HT walkie talkies in Europe, Mid-East, and Africa. They are also known as Personal Mobile Radio, UHF-CB, or European Bubble-Pack Radios. All the PMR channels are simplex. There are several different modes in use, including standard FM (NFM) and various types of Digital Voice modes. The most common is NFM (Narrow FM) Simplex. There are 8 official FM channels, and another 8 to 16 channels which are mainly in use for Digital Voice. However, many UHF-CB freeband operators use FM on the the PMR Digital Voice channels (dPMR). The Digital Voice mode (4FSK) is not compatible with FM. Here we list only the FM channels, for best interoperability with most VHF/UHF HT walkie talkies. This is the primary PMR channel set worldwide. It is for NFM (Narrowband FM) simplex, similar to FRS. Coincidentally, the channels are within part of the UHF ham band in USA/Canada. 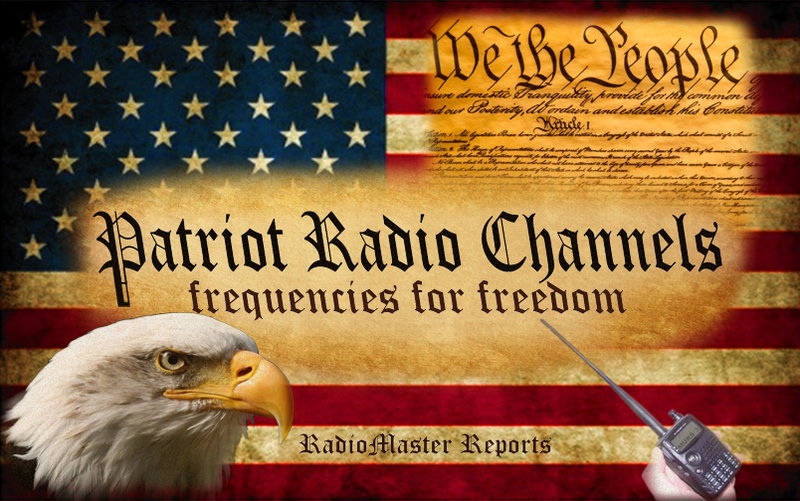 Coincidentally, the PMR3 channel (446.03125 MHz PMR Survivalist Channel) is equivalent, within about 1 kHz, to the USA/Canada Ham UHF survivalist channel 446.030 MHz FM Simplex. Digital DMR Tier I is 4FSK digital TDMA voice. 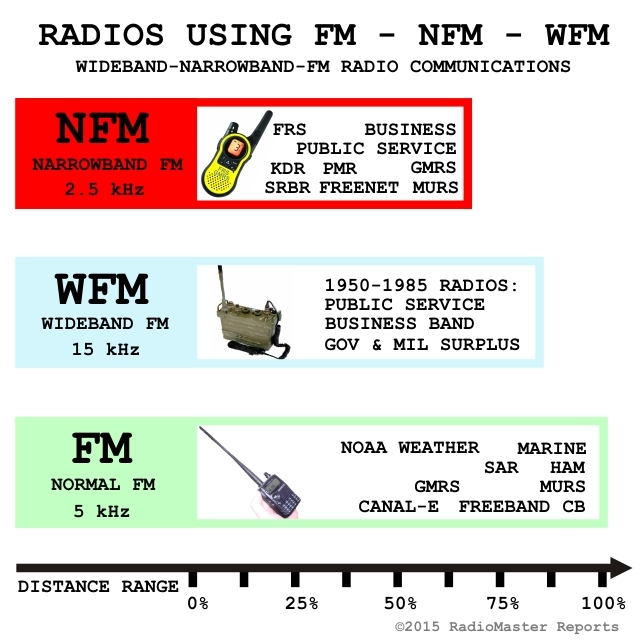 Users of FM (NFM) also may freeband on these same channels. Digital dPMR446 is 4FSK digital FDMA voice. Users of FM (NFM) also may freeband on these same channels. 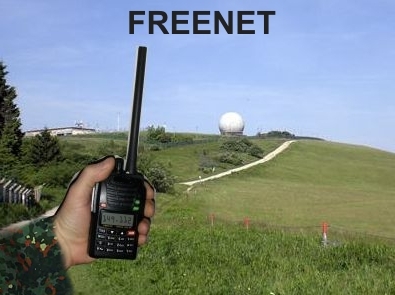 FREENET is a set of European license-free VHF radio channels. It is popular with preppers. Freenet started in Germany and has recently spread to other European countries. It is like VHF CB. The potential distance range is generally more than PMR 446 or UHF CB. In some areas, users have built cross-band repeaters between FreeNet and 11 metre FM CB channels or PMR446 channels. Also, some internet-VOIP networks provide remote links similar to repeaters. 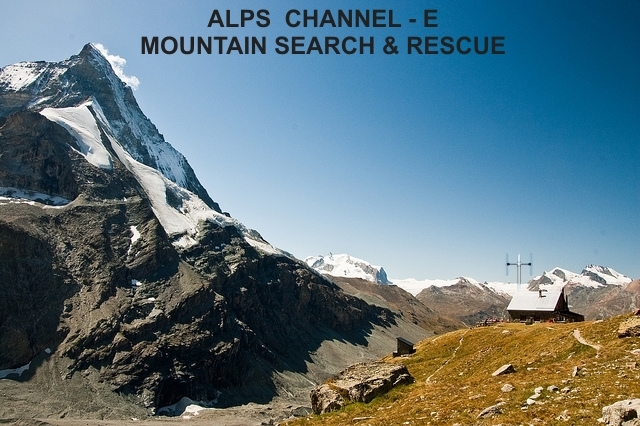 Alps Channel-E is an Emergency Search and Rescue (SAR) radio channel only used in the Alps mountain border region around Switzerland and France, where Mountain SAR and ski patrols monitor this emergency VHF channel. Note: Always transmit PL =123 Hz tone on Channel E.
The emergency radio channel (161.300 MHz) can be used by anyone throughout Switzerland in the event of an emergency, and emergency assistance can be directly requested on this frequency. Rega and KWRO/OCVS, are some of the organisations partly responsible for monitoring emergency radio coverage on Channel E (Canal E). KDR 444 is a license-free set of UHF radio channels mainly active in Sweden and Norway. KDR is similar to FRS, PMR 446, or UHF CB and the potential distance range is about the same. KDR 444 also known as SRBR 444. Jaktradio (Hunting Radio) is a popular license-free group of VHF high-band radio channels very active in Sweden, Norway, and Denmark. It is similar to Freenet. The potential distance range with about 4 or 5 Watts FM simplex is about the same as Freenet, Marine VHF, or MURS. Inexpensive HTs (similar in form to PMR) are widely available. Some HTs are configurable for Norway, Sweden, and Denmark channels; other HTs may have only a one- or 2-country channel set. When all the jakt channels listed below are programmed into a conventional dual-band VHF HT or mobile radio, it enables communication with any VHF high-band jaktradio. Sweden 69 MHz is a license-free set of mid-band VHF radio channels, mainly active in Sweden for base, mobile, or handheld units. With 25 Watts of FM simplex available, there is potential for greater groundwave distance range than a 5Watt 27 MHz AM-FM CB. 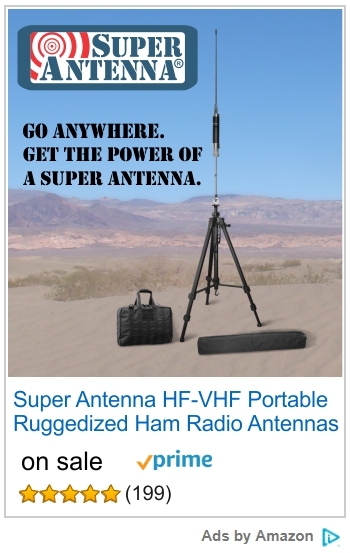 This is a very attractive new radio service, with the added convenience of better antenna efficiency for a small antenna, combined with good local propagation over water, hills, and mountains. Note: The normal standard is for users to always transmit PL Tone = 88.5 Hz, but other PL Tones may be used for other purposes, or by sub-groups. The use of this 4 metre band by Public Safety radios in Sweden has been common for many years, and this new 69 Mhz license-free service is in the middle of many other channels in the 68-69 MHz range, providing interoperability with first responders in case of emergency. It is anticipated that most early adopters of 69 MHz will utilize existing public service radio models, but there is potential for future CB-like radios to appear on the market. More info: see Svenka privatradioklubben Tellus (Swedish Private Radio Club). 31 MHz is popular in the northern areas of Sweden for hunting radios and CB-like operation, mainly using 5 Watt FM Handheld Transceivers (HT) or vehicle mobiles. Many small inexpensive HTs, such as Baofeng, are sold without suitable default programming. 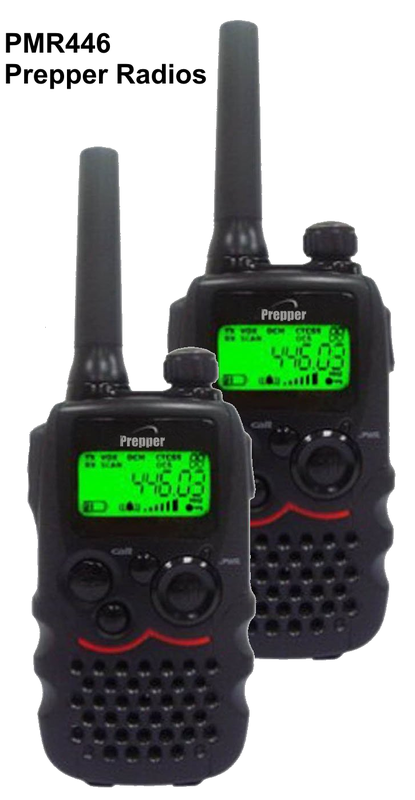 To use these radios, as well as similar Ham radios, it is necessary to either program them manually using the keypad, or to use software to load the desired channel frequencies into the radios. The type of radio you have determines how you program it. You may have a mobile, base, or handheld (HT) radio. Some radios require manual programming. Most modern radios have the capability of programming via a cable adapter between your computer USB or serial port, and the microphone or data jack of the radio. Please see your instruction manual or user guide for your radio, for information about how to program it. All channels in the list are default Carrier Squelch Receive with PL Tone Transmit. For interoperability, the Transmit PL is set to default to the most common tone frequency for each channel and type of service. Disclaimer: Content provided in RadioMaster Reports is included for the sole purpose of educational information on a passive basis. This information may be useful to the public in the event of emergencies or disaster recovery, especially when normal techniques are not an available option. Users of this educational information are solely responsible for their actions. This entry was posted in Survivalist Prepper Communications, UHF, VHF and tagged communications, Europe, Frequency List, jaktradio, PMR, PMR 446, Prepper, prepper communications, SHTF, Survivalist, Survivalist Communications, UHF CB. Bookmark the permalink. It is a universal band transceiver capable of mesh data networking that, unlike the internet and cellular, cannot be shut off. It also can do voice communication in 136-170MHz, 200-260MHz, 400-520MHz — which includes several ham bands. Do you have a .IMG to download without al the frequenties software we van easily programm the radio? Use the *.csv file instead. It is universal.